Lucky Kids > Blog > See what a nice gift to surprise your children with! Do you know what a nice and useful gift you can surprise your children with? Quality improvement of the English in English-speaking environment; exciting vacation with many adventures and new friendships from Bulgaria and abroad; security, safety under all international requirements. This is what your children will receive at the LuckyKids International Children’s Camp. This camp in Bansko provides lessons in English for children from 5 to 14 years, enrolment requires primary to secondary level fluency in the language. And by saying a qualitative improvement, we mean both speaking and writing. Whether you choose a 7-day course or a two-week course, here you will get: vocabulary enrichment, better and easier comprehension, reading, writing, grammar. Of course, longer-term learning is more effective. LuckyKids is established and works according to the leading pedagogical practices in the world. This is a camp in English. Children learn and practice the language constantly: there is communication in all activities: from the morning, through the language school, and afterwards, until the night’s sleep, everything is in English only. This language is native to the teachers in LuckyKids. They are from English-speaking countries where they received their education (we also have Cambridge alumni); they have gained pedagogical experience in teaching English there. In addition, some of them have taught in different countries around the world – for 27 years, John Jameson has taught in the United Kingdom, Russia, the United Arab Emirates. The team also includes Neal Waters, who is the coordinator of the English Department. There are also teachers with experience from USA, Ireland and others. This strong team has compiled the curriculum and the overall program of language camp LuckyKids based on modern pedagogical methods. The learning process is fun for the children and makes them active participants, putting them in the situation of a team, with each child contributing to the accomplishment of the tasks and projects. The teacher sets up adapted case studies that children solve, learning how to find the knowledge themselves, and the teacher guides them through their searches. In this engaging way, language learning becomes faster, easier and lasting. The course uses literary texts of classical authors from different genres, subjects that are taught at school, social sciences are also explored with a practical focus on the everyday use of language. It is particularly useful that children from different countries communicate with each other in English in everyday life circumstances. Animators who take care of children after lunch and evening are Bulgarians who speak English professionally. Entertainment also goes by communicating in English, as it is learned in the language school until noon, and immediately afterwards is implemented in practice in entertainment and games. And they are many and varied, making your children’s vacation unforgettable and filled with emotions. 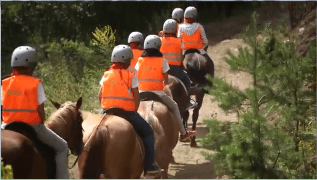 In the summer, there are many adventures in the mountains – paintball, archery, horseback riding, cycling, walking, excursions. In the winter they are replaced with ski lessons at the wonderful ski slopes in Bansko. 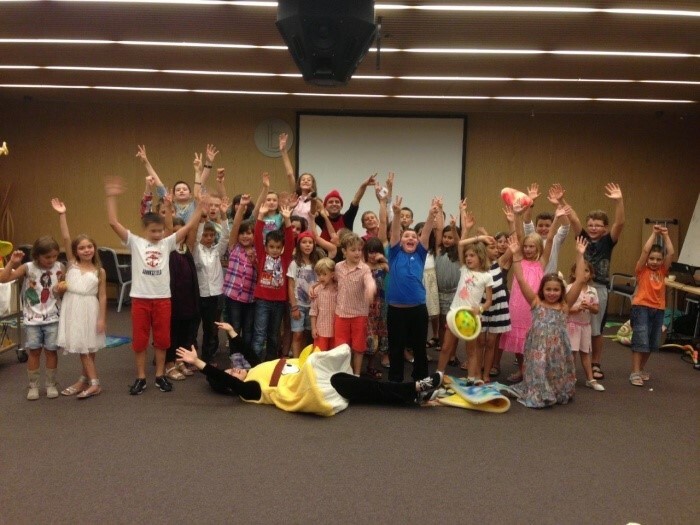 There are also plenty of fun activities in the camp – swimming, painting, theatre, movie nights, discos and so on. Of course, all activities are carried out under strict safety measures, at any time children are accompanied by trained adults. In the pool area, for example, there is a life guard, a teacher and an animator. In the mountain, there are professional guides and instructors, they are always accompanied by qualified and well-equipped medical officer. All precautions have also been undertaken in the camp itself. LuckyKids is based in the luxurious Lucky Bansko hotel. There, comfort and safety are in line with international standards, with every detail being considered the most important. In Lucky Bansko, for example, there are no sharp edges, the windows are unbreakable, the floors are carpeted. Fire and accident safety are guaranteed. The children are accommodated together with the animators on a separate floor, so security through adult control is provided around the clock. 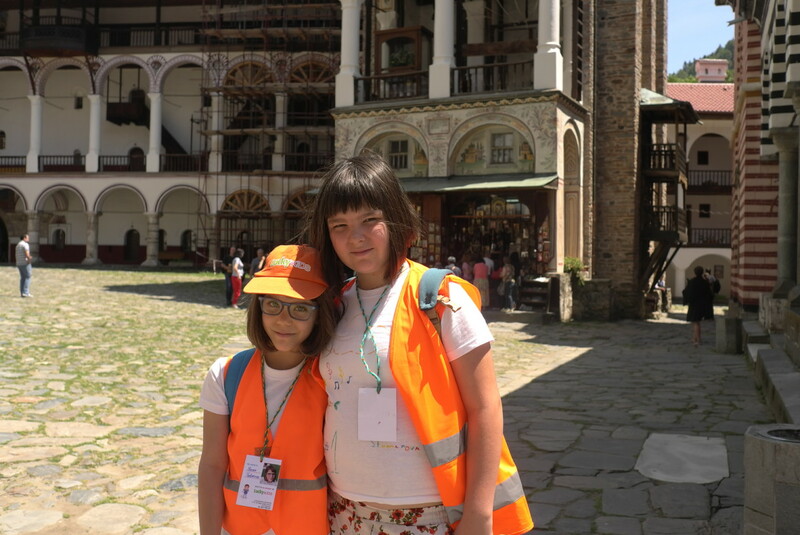 In short – LuckyKids in Bansko: a wonderful gift for your children and … for yourself! Previous Post: Do this for your children – they deserve it! Next Post: Let your children learn English well while having fun!